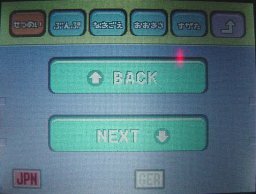 Now once you have done this, when you go to the Pokédex entry for the Pokémon, on the bottom screen below the buttons to go previous or next will be an option for you to switch between different languages. These include Japanese, English, French, German, Spanish & Italian. Just to give you a taster of this function. 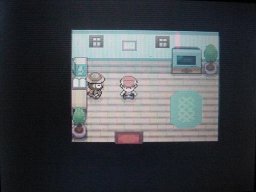 The hiker in the house will trade you his Magikarp for a Finneon. 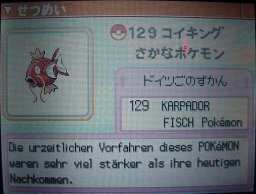 While it doesn't seem like a fair trade, his Magikarp is German and this gives you a perfect example of this new feature as seen to the right.